Pre-wetted salt, what is it and what are the advantages? Over the past couple of years, snow removal contractors have been turning to liquids to improve ice and snow remediation efforts. Unfortunately, the only thing stopping many of them from using liquids is that they simply don’t have the know-how nor the benefits of pre-wetted salt. Pre-wetted salt is simply a salt that has been coated with a liquid chemical prior to being spread on a snow or ice-covered road, walkway or parking area. While there are hundreds of compounds that can be used to pre-wet salt, there are three liquids that are typically used: sodium chloride, liquid calcium and magnesium chloride. 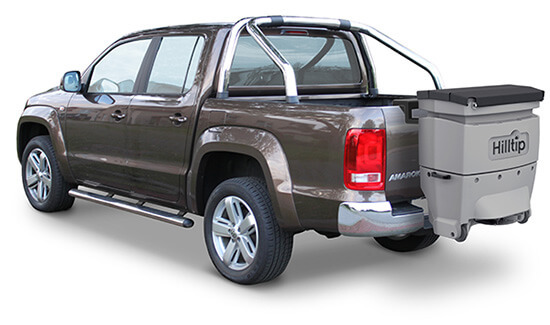 A pre-wetted solution is more effective for several reasons. First, the pre-wetted salt clings to the pavement instead of bouncing off the surface or being cleared off by flowing traffic like rock salt. That means less salt is displaced, not only saving money, but also having less of an impact on the environment. The liquid solution will also embed more easily into a frozen surface, which reduces scatter and works more effectively. Using a pre-wetted salt enhances performance at any temperature because it ensures there is plenty of moisture to melt snow or ice, therefore pre-wetted salt works faster at a lower temperature with less waste. 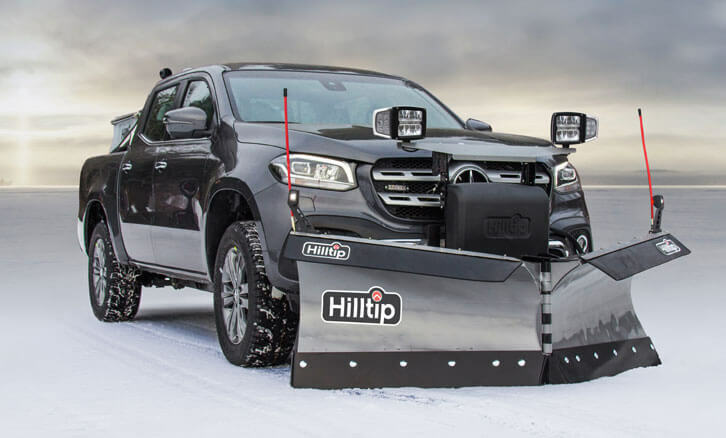 While you may be spending a little more on using an additional chemical for snow and ice removal, the investment will easily pay for itself and then some over time. 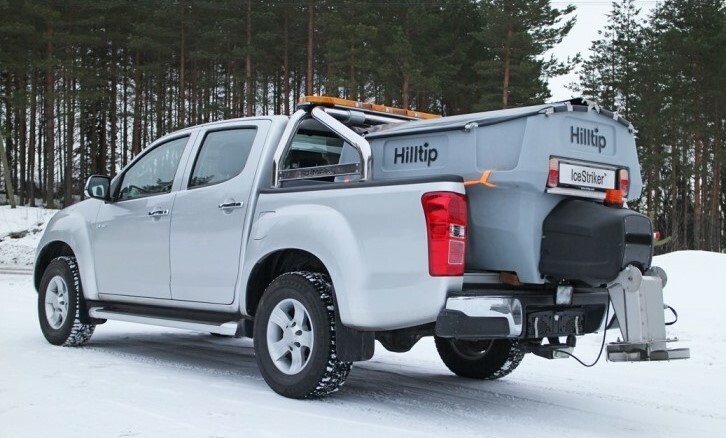 However, using a pre-wetted salt does require special equipment, but that HillTip Icestriker salt spreader is designed to deliver the solution more precisely to maximize the investment. If you want to make a calculation of your annual salt savings by adding Pre-wetting function to your spreader, click here! 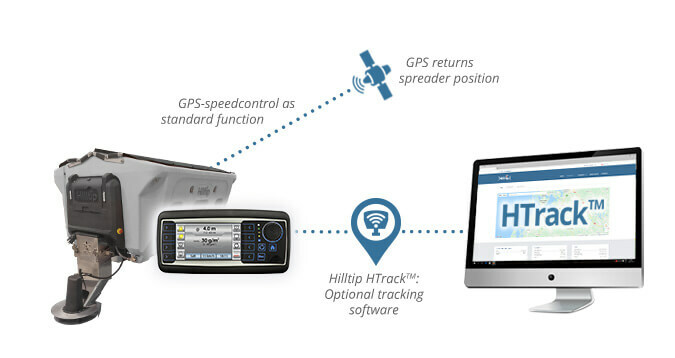 Why should I consider Ground Speed Control? GPS ground speed control on the spreader gives the operator a more precise control over the volume of material that is spread. 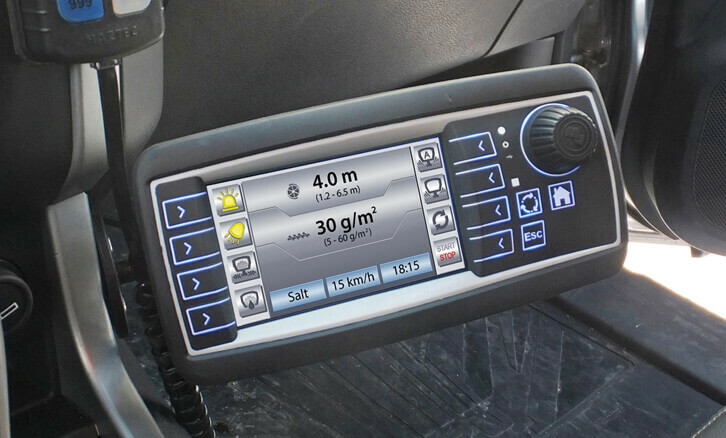 The driver just needs to dial in select the contracted application rate, and the spreader adjusts accordingly, based on the vehicle’s speed. It will always deliver the same, correct application rate. 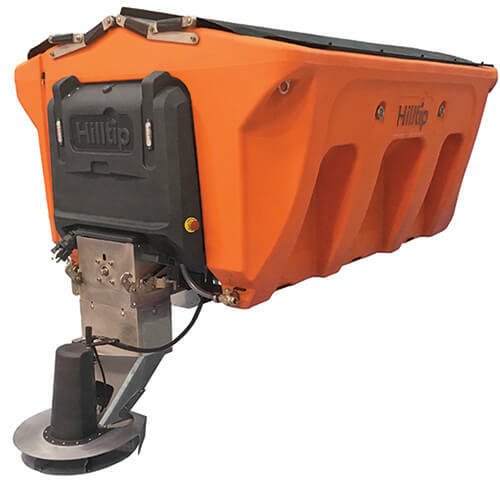 The system is designed to automatically make continuous adjustments to the spreader output, offering increased efficiencies, improved reliability, and perhaps most importantly material savings. 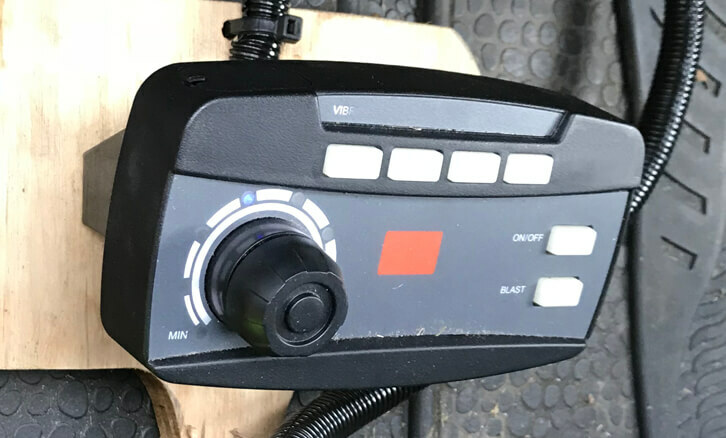 This saving can be significant, with many industry professionals suggesting savings of around 20% when switching over to GPS control on the salt spreader. 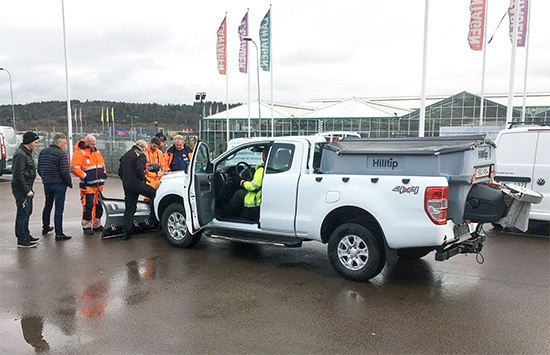 Simply, the salt spreader never puts out more than what is needed for the event, and the driver does not need to worry what is the correct amount by guesswork from what he sees thrown from the back of a spreaders on a dark snowy night. In most cases, the spreader driver will approach on the side of caution and use a lot more de-icing material than is necessary. 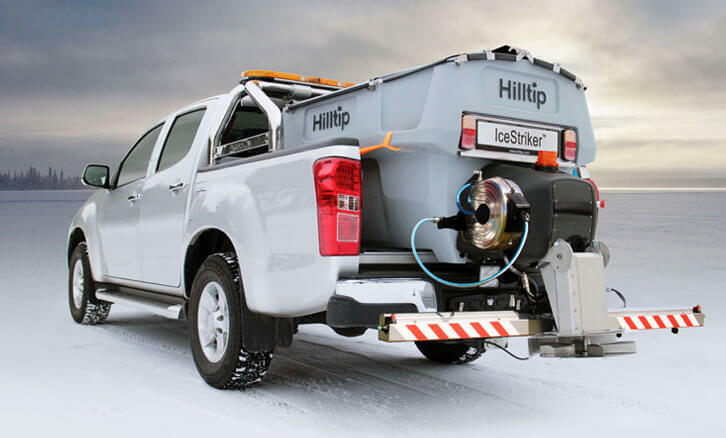 The Hilltip Icestriker 12V Electrical Spreader offer GPS ground Speed control as standard, as well as a built-in pre-wetting system that delivers a solution more accurately and efficiently onto a very precise target area. 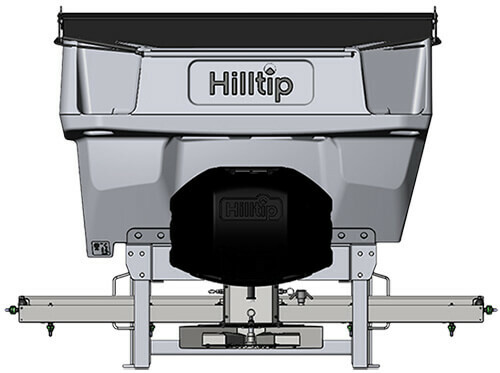 In addition, we have the optional HTrack™ system for all of our salt spreaders that generates easy to use reports which deliver proof of performance following each site treatment, as well as monitoring statistics over the course of a season. 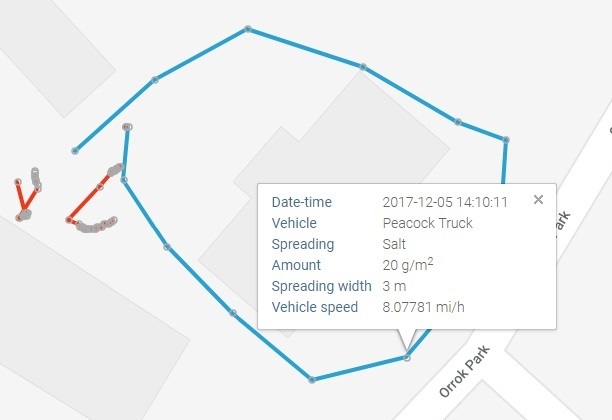 Time, location, application rates and a host of other factors are recorded and can be called upon in a moment’s notice, to ensure you can validate to your clients where the spreader was and what exactly it was doing.